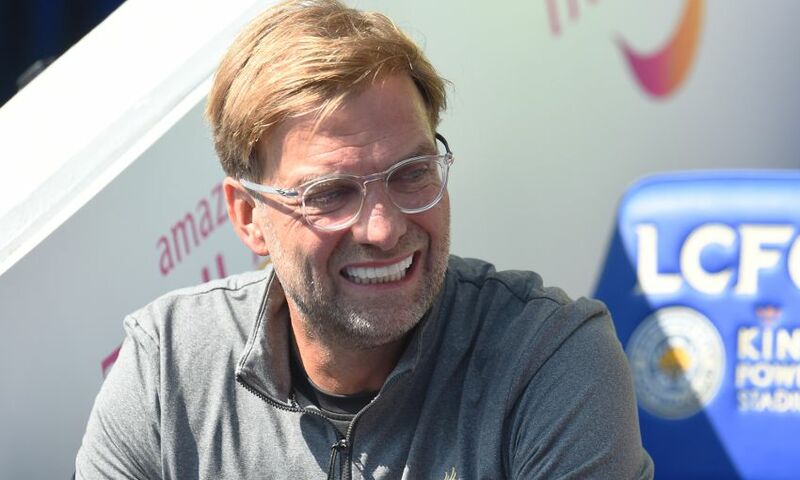 Jürgen Klopp felt Liverpool were deserved winners at Leicester City on another testing afternoon in the Premier League. 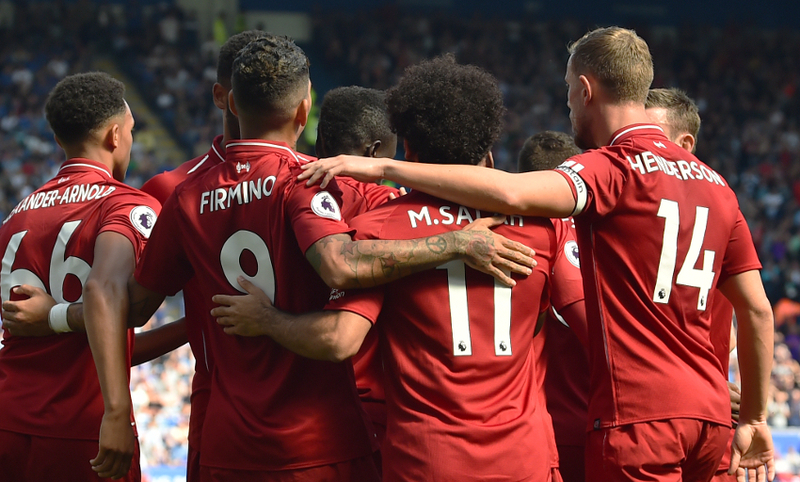 The Reds achieved a fourth successive victory to start the season for the first time since 1990-91 by claiming a 2-1 result at the King Power Stadium through first-half goals from Sadio Mane and Roberto Firmino. Alisson Becker was caught in possession midway through the second period and the Foxes capitalised, teeing up Rachid Ghezzal to halve the deficit from close range. But Klopp’s men held onto their lead and head into the international break with maximum points. After the final whistle, the manager gave his assessment of the game, Alisson’s error and the role of the team in ensuring the goalkeeper’s ability on the ball is used properly. Result-wise it could not have been better. Performance-wise, we know we can improve and we really know that we could have already done better. Again, the start today showed how good we can be but it’s still early in the season – so we are not 100 per cent stable in these situations to do the right things constantly. It was a bit difficult; when the pitch got drier and drier, it changed our game. We should not suffer from that too much but we did, it changed our game. We should have been much more direct, playing in behind, and use these situations much more than the other way around. But we scored a nice goal and we had the two biggest chances of the game before that already. We scored a second one before half-time and then wanted to control the game better in the second half. We didn’t do that with the ball but without the ball we defended a bit deeper and had our counter-attacks. We didn’t finish them for different reasons; one or two times it was a smart foul from Leicester, a tactical foul, so we couldn’t go through. In the other situations, we didn’t play the right pass in the right moment. Then we gave the goal away, which obviously keeps the game open and we have to deal with that. A lot of things were difficult for us. First and foremost, the quality of the opponent, of course, after the first 25 to 30 minutes I would say. And then circumstances – the pitch was dry and it was the first summer day again after a long period. That’s it. It was exciting until the end but I’m fine with that. We knew before the game we had to make a big fight of it. In the beginning we played fantastic football, then we fought for the three points, that’s how it should be. And that’s why we won the game. It was last week when he did what he did and the way everybody spoke about it, it was clear that it would happen one day that we conceded a goal because of that. But we still want to use it. I have to watch it back but I thought Joe Gomez could have cleared the situation, then Virgil for sure could have cleared it. In the end, if Alisson with the first touch puts the ball away, everything is fine. For some reason, he didn’t do that, he dribbled and they scored the goal. That’s it. I said to him, it’s the best game to do it because we still won the game and we ticked that box. As a team, we are still in the period where we have to adapt to each other and not use him in the wrong moments. He’s not the solution for us, he’s an option. We did it a few times too much and it’s not cool. If we concede a second goal we have to take that as well. They had one or two situations where we needed the goalkeeper; the block from Joe Gomez was brilliant of course. We had these situations but they had them as well, so we are the deserved winner and that’s the only thing I’m interested in. No. It’s only positive that he is that good a footballer. But we all have to learn to use it in the right way still. That means, pass the ball in the right moment, then immediately make another offer for him, open some passing options. That’s the job for the team, play the pass in the right moment, not on a dry pitch, not hard enough. Don’t do it in these moments. That was a mistake – no goalkeeper in the world should dribble in that situation. But he did it. But it’s all OK. For me, much more interesting is how the reaction was and it was good. We still used him in better situations. The crowd wanted to make him a bit nervous but he didn’t look nervous. That helps a lot. Then it’s all fine. Football is a game where a lot of mistakes happen over 90 minutes. But that one was a big one, decisive because we conceded a goal. But the reaction was brilliant and I’m completely fine. How I said, it was always clear it will happen. It needed to happen so that it will not happen again. I think today was the day.